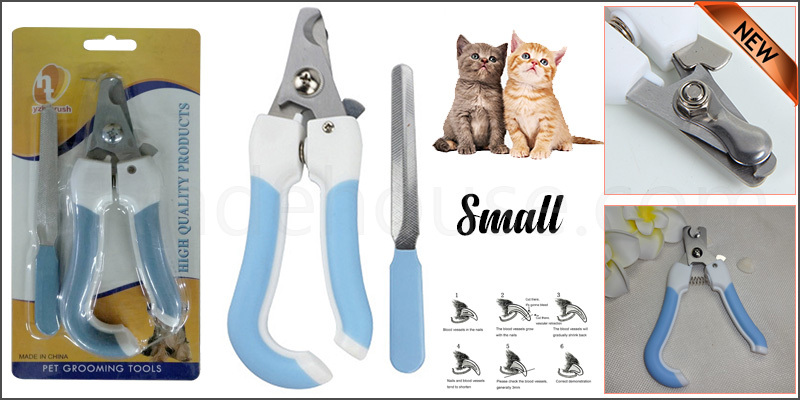 This Pet Nail Clipper is especially designed for clipping small and long nails, toenails, claws or paws for your lovely and beautiful dog, cat, and other pets. The plastic anti-slip handle makes it convenient for grip and makes you feel comfortable while using, while a positive lock mechanism makes it safer for using. With fixed spring clip, keep pets from getting hurt. Includes a Nail Filer Shaper. Keeps your pet's nails trim rounded and smooth with no mess. Suitable for small-sized pets, for example, dogs, cats, and any other pets with long nails.